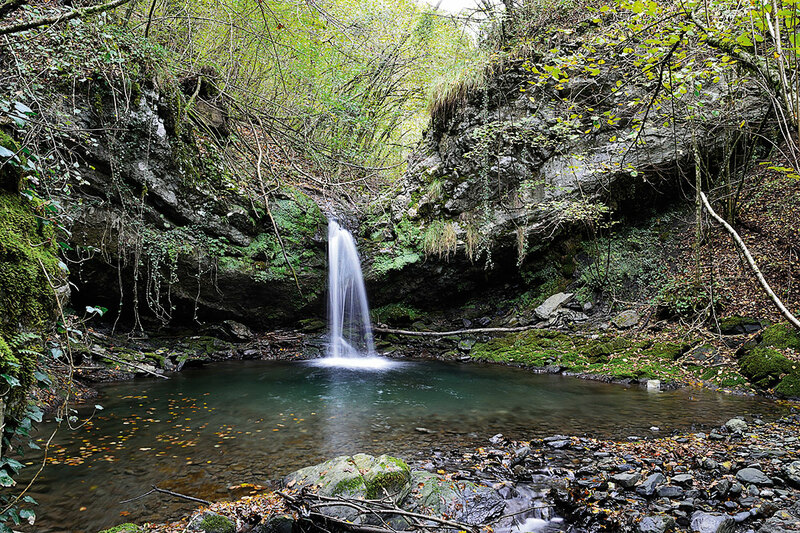 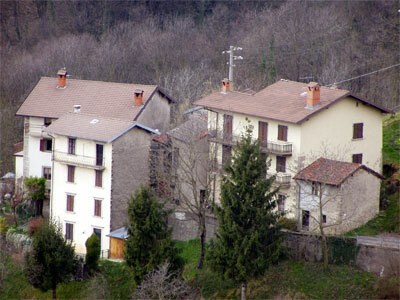 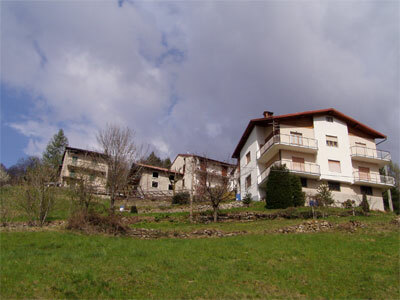 Gerosa, nice village that enjoys an enviable sunny position all year long, is situated 760 metres above sea-level and currently counts 383 inhabitants. 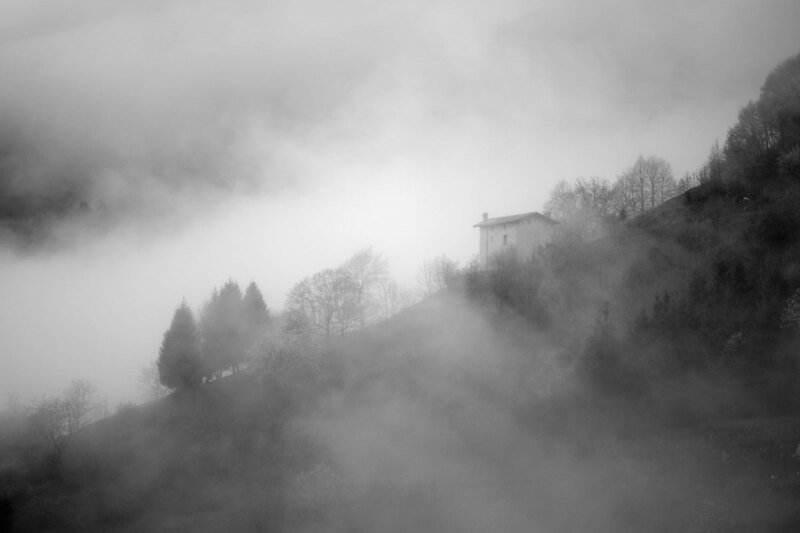 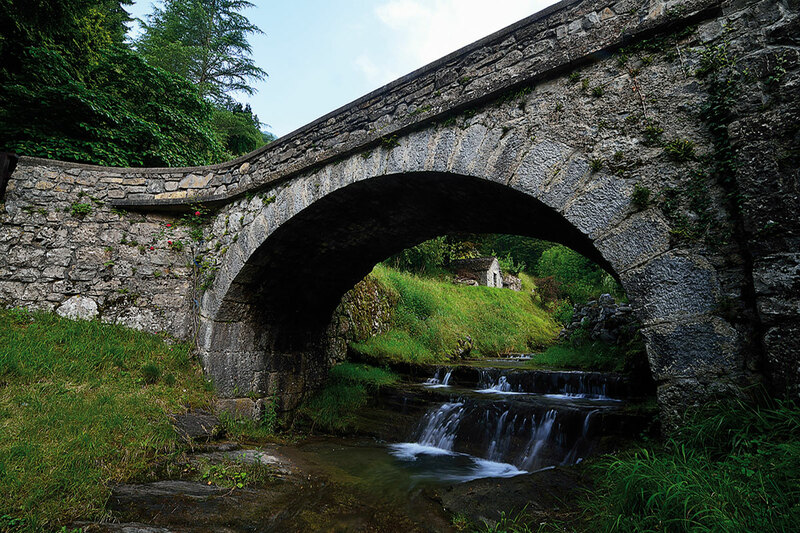 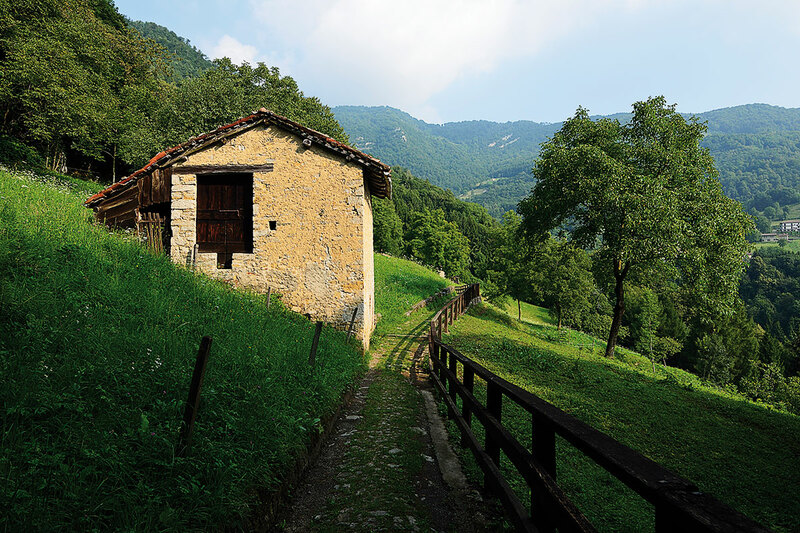 There are a lot of small centres in its territory where you can still observe the signs of the traditional peasant culture: Bura, Blello di Gerosa, Canto del Ronco, Foppetta, Foppa Calda, Foppone, Sicogna, Mancassola, Unizzi Chignolo, Mussita, Bologna, Mulino, Prato Aroldi, Martire, Sottocorna, Giaperto, Cabusié, Baroncella, Paer and other areas. 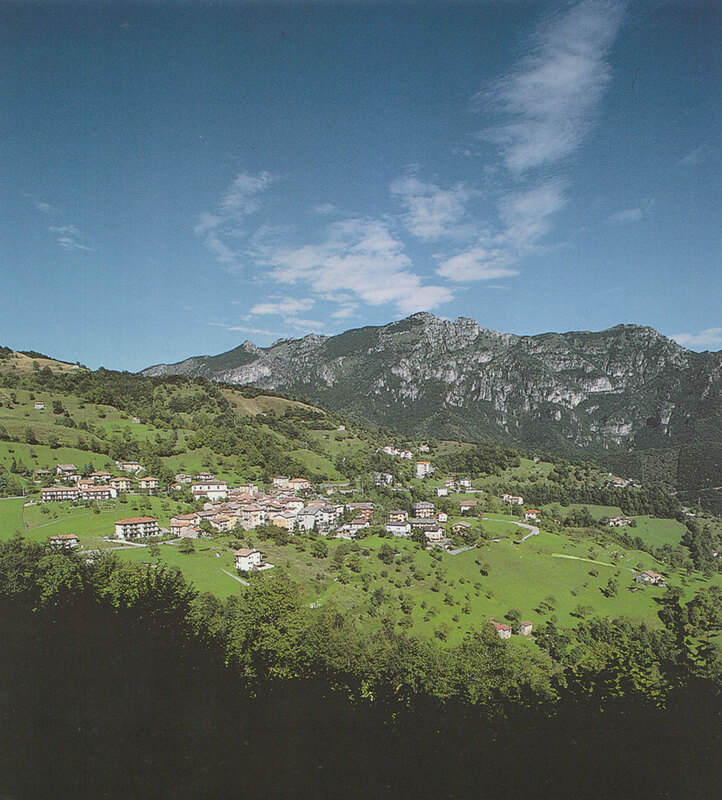 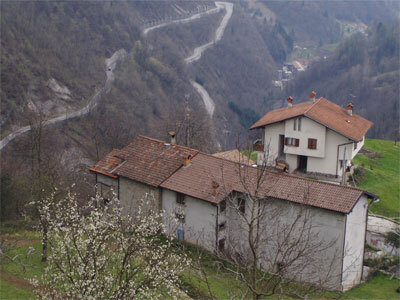 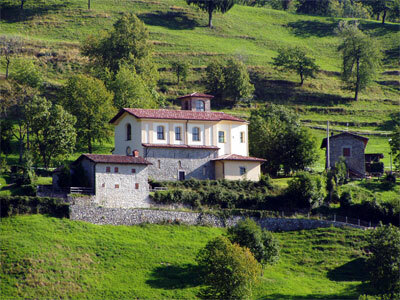 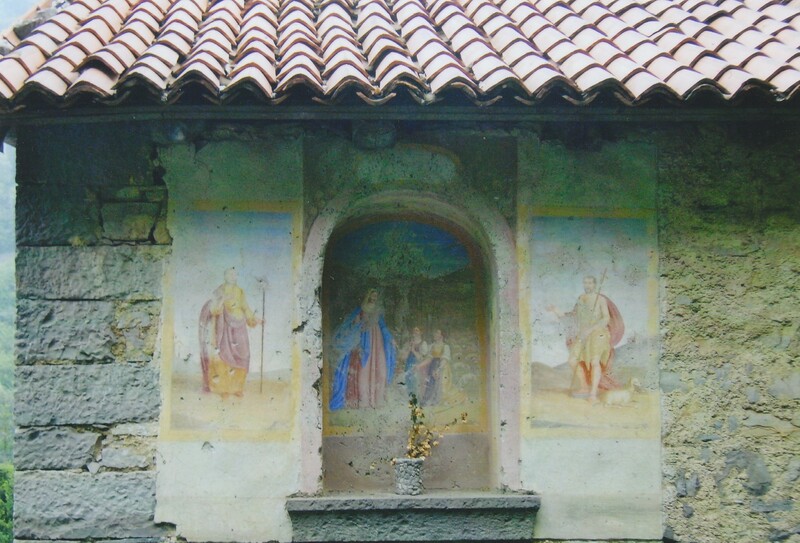 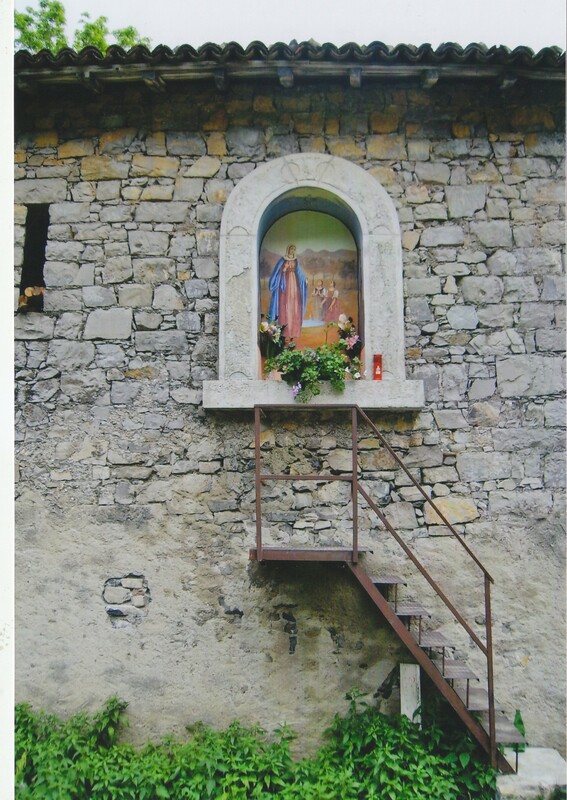 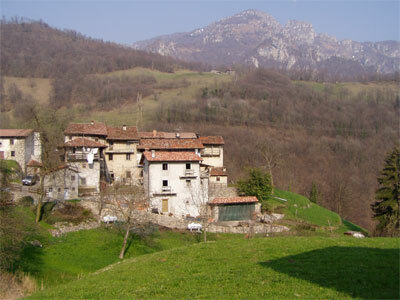 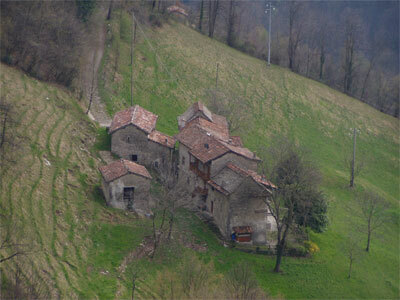 Gerosa is well-known in the valley especially for its Sanctuary of the Virgin of the Foppa where in 1558 the Virgin appeared to two little girls. 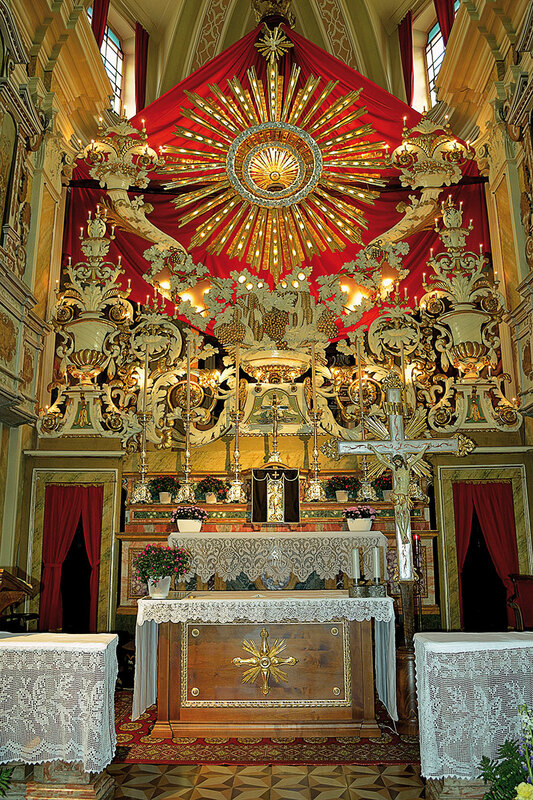 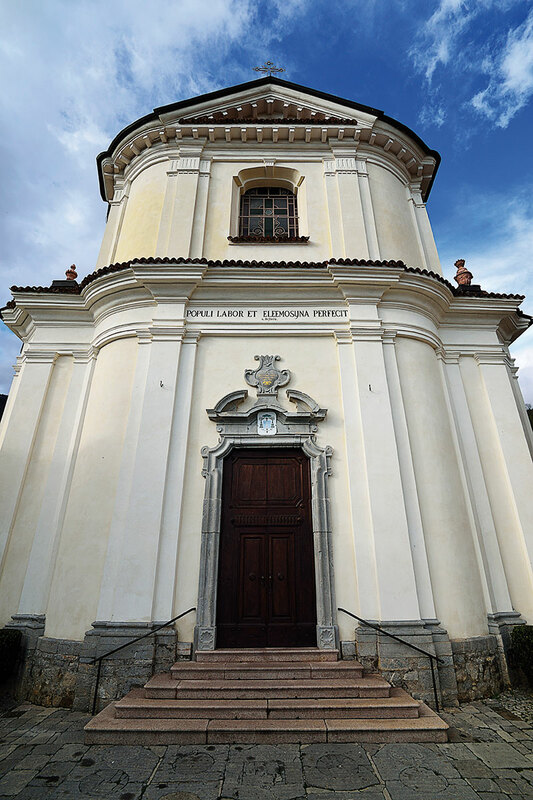 Besides the Parish Church of the Saint Cross, other two churches are present in its territory: Saint Mary, which has ancient origins and was deconsecrated on 1st March 1930, and the small church of Saint Rocco in Bura. 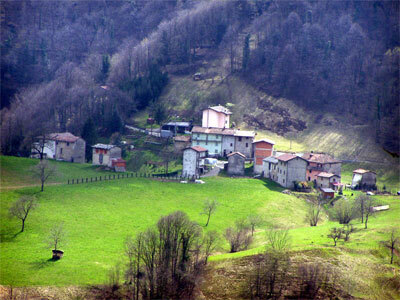 The economy of the village was mainly connected to the exploitation of woods, cultivated lands and breeding of animals. 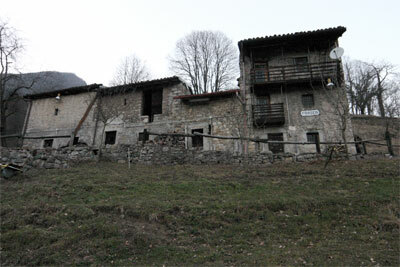 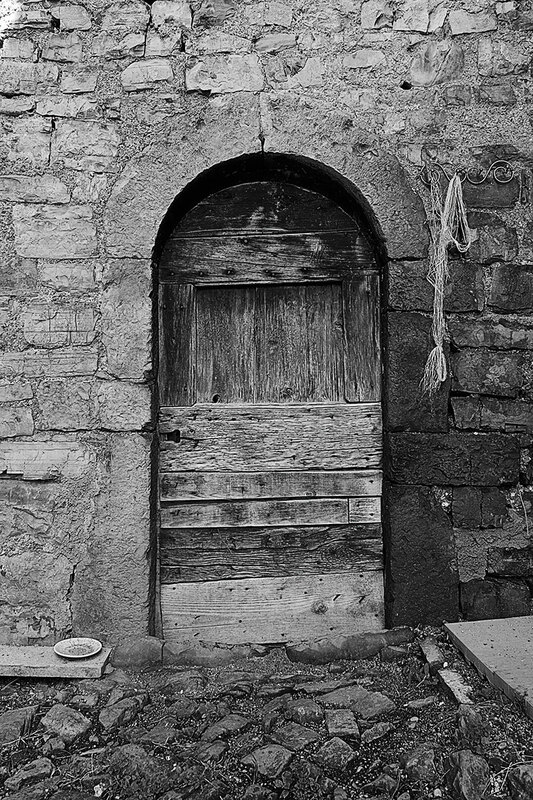 In the area of Vedès you can still admire a graceful shed of the eighteenth century, which is evidence of the conservation and transformation of milk and dairy products, and you can also observe places where the transformation of the woods took place in the past, like l’Aràì ( used for the transformation of wood into coal), the furnàss (kilns where bricks were cooked), and the calchere, (places where stones were cooked to make white lime). 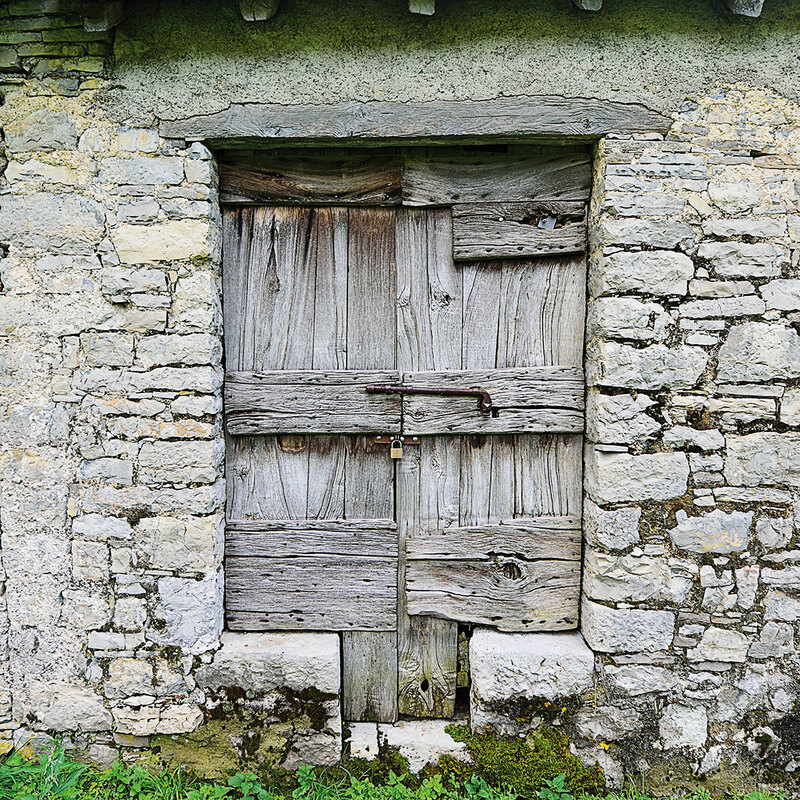 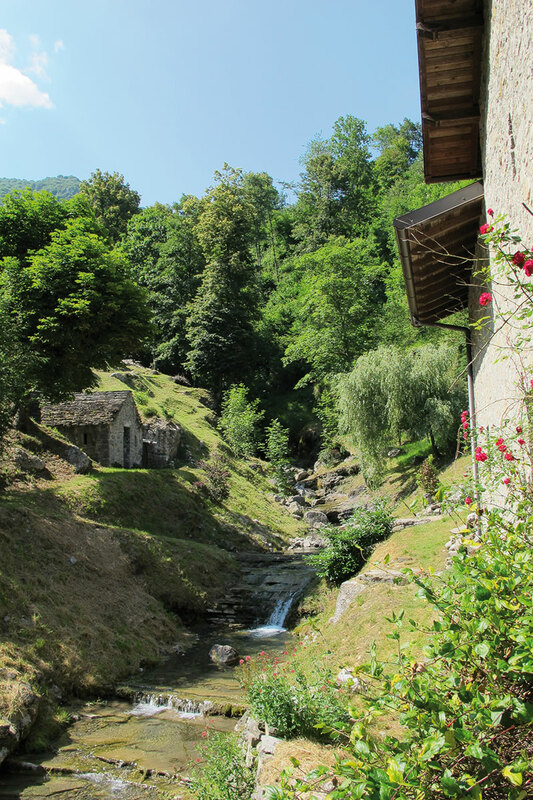 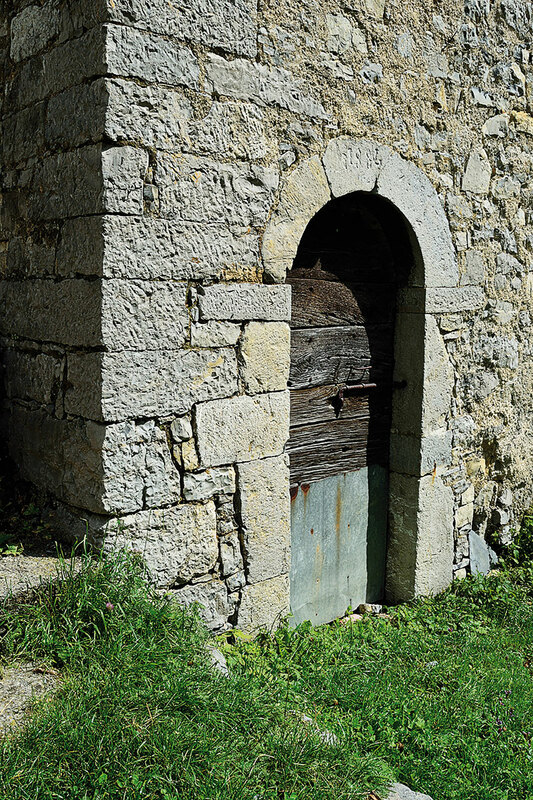 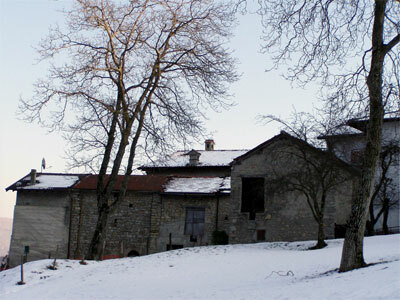 On the path leading to the Sanctuary, near the valley of mills, you can still observe the remains of the old mill, which worked until 1947, where cereals were grinded and also walnuts for the production of oil, valauble nourishment until the first half of the twentienth century. 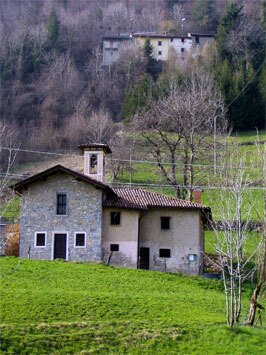 Its last manager was Giovanni Manzoni. 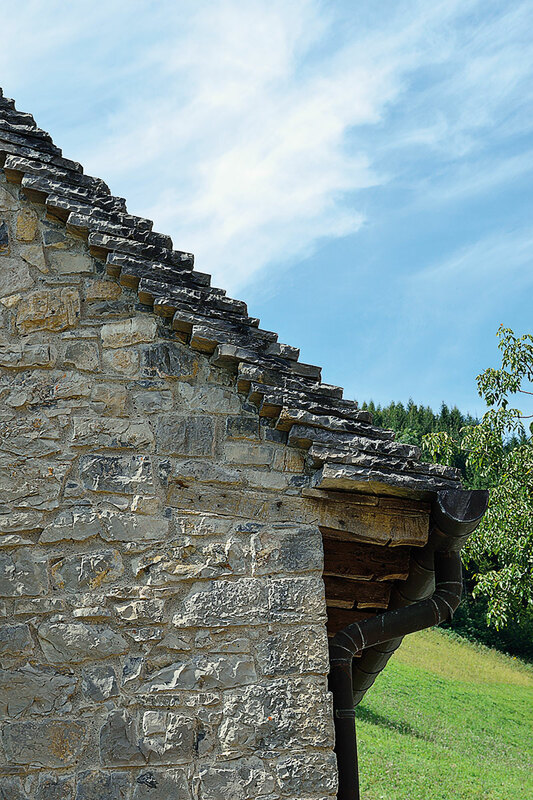 The more recent economy is characterised by some farms, production of saffron and many artisan factories: building trade, wood turning, production of metal accessories and pork products.